I love chalkboards. I adore how the board can be easily reused, like a never ending canvas that allows for continuous creativity and self expression. I also love making lists, and so I find that these boards are a great way to reduce the amount of papers I have lying on my desk. This alleviates some of the guilt I have from wasting so much paper on my daily to-do lists, and makes my tasks more easier to see and ultimately accomplish. Not to mention, using chalkboard markers are much more fun then using a regular pencil. So, I made this simple DIY to keep you calm, cool and collected through the roller coaster that is life. Drum roll please. 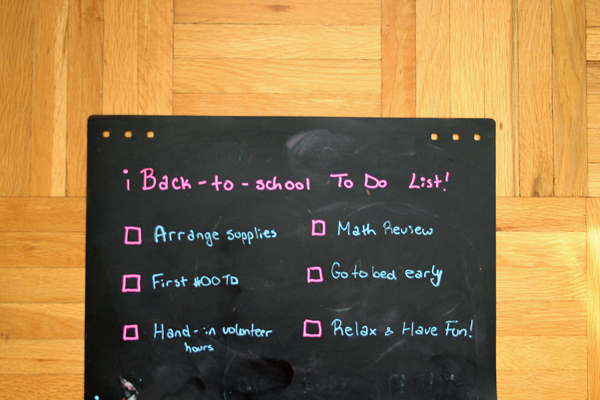 Cute, simple to make and even easier to use, I present to you DIY Chalk Message Boards. I wanted to make this craft extremely quick and bought some spray-on chalkboard that dries in a day or two (please ensure to read the instructions on your own can). Following the directions, I searched around the house for flat objects that were dying to be up-cycled. My chosen victims were my old taekwondo boards, and my even older desk place-mat. After sanding the boards to perfect smoothness and wiping down the mat, I gave each board a quick spray or two (outdoors), let them dry (outdoors) and voila! Once completely dried, I rubbed the surface with chalk and wiped it clean. I recommend using chalkboard markers or pencils instead of regular chalk--especially if the board is constantly in use--to reduce dust and preserve the writing. After purchasing a brightly colored pack, I decided to turn these planks into motivational message boards, and so I rounded up a few of my favorites from my Pinterest and hung them on my wall.